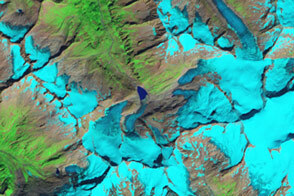 For more images and animations, see Iceland's Receding Glacier. According to NASA glaciologist Dorothy Hall, Landsat data show that Iceland's Breidamerkurjökull has receded by as much as 2 km since 1973. The Breidamerkurjökull is an outlet glacier, which is part of Vatnajökull--the largest ice cap in Europe. Hall notes that all but one of the Vatnajökull's outlet glaciers, roughly 40 named glaciers in all, are currently receding. Although all of Iceland's outlet glaciers are currently retreating, some glaciers like the Breidamerkurjökull expand and retreat independent of short-term climate. Therefore, glaciologists must exercise caution when attributing glacier movements to climate change. 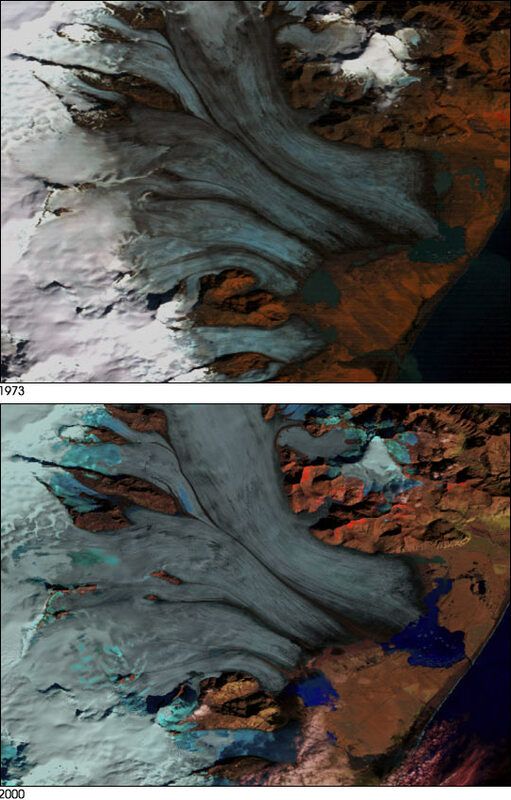 In these false-color composite images, captured by Landsat 1 (in 1973) and Landsat 7 (in 2000), the retreat of Breidamerkurjökull can be seen clearly. As the glacier retreats, you can see the creation of smaller icebergs in the lake formed by the glacier. 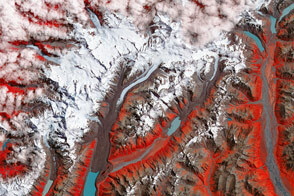 In these scenes, bare glacier ice surfaces appear bluish-white, while those covered by snow are bright white. Water surfaces are dark blue and land surfaces appear reddish. Ground measurements by Icelanders show a somewhat smaller retreat of the glacier than do the satellite measurements just west of the lake Jökulsárlón. Ground measurements indicated a 1300-meter retreat while satellite measurements showed a 1440-meter retreat. 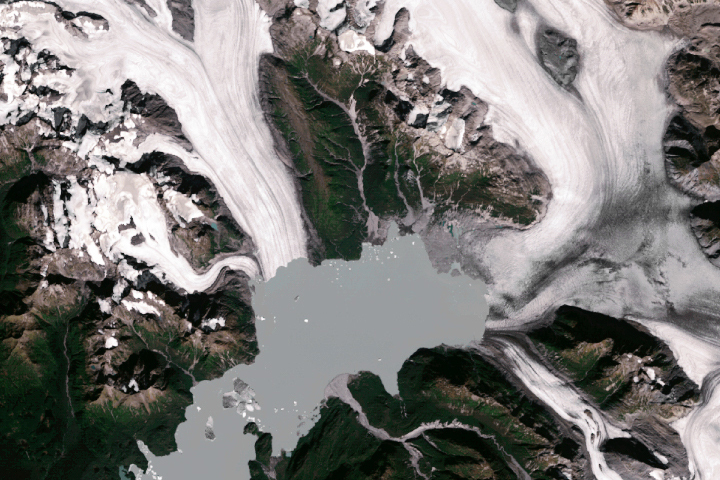 Though the ground measurements are more accurate, Landsat gives wider coverage and fills in the gaps where ground measurements are not performed.